G.K. Chesterton – despite his great girth – is somehow often overlooked in contemporary discussion. Yet if you should take up most any book of his and read you will find that he is still a wonderful treasure trove of insight into the world. Chesterton was a massive influence on Christianity during the early 20th century, at least within the context of England. He was his generation’s version of C.S. Lewis, with an extra serving of wit. This made him the chief candidate for being the popular defender of Christianity during his day, and his method of defending the faith is one that we would do well to learn from today. But before we can learn from Chesterton’s methods, we must first determine what those methods were. the Reformed Epistemology Method, which tends towards fideism (that is, a stance which “refuses to offer any arguments or evidence for Christian claims”) and is mostly defensive rather than offering any real argument. With this cursory survey given we can look at where Chesterton’s arguments fall in this schema. A monkey does not draw clumsily and a man cleverly; a monkey does not begin the art of representation and a man carry it to perfection. A monkey does not do it at all; he does not begin to do it at all; he does not begin to begin to do it at all. A line of some kind is crossed before the first faint line can begin. Both of these show signs of a sort of evidentialist method, where the argument is made by looking at the outside world and asking for explanations of what is seen. Through this method – similar to reductio ad absurdum – Chesterton greatly imitates the method of presuppositionalism, yet in this he has a similarity to the cumulative case method as well; on the one hand arguing that the opposing views end in absurdity, and on the other that it is only Christianity that makes sufficient sense of the data. G.K. Chesterton employs a variety of apologetical methods in order to argue his case for Christianity. Yet apart from just looking at the arguments that he presents, we can also look at how he views the relationship between faith and reason. This relationship forms a pivotal part of any apologetic method, for it is this relationship which determines whether the arguments presented will have any practical effect on the nonbeliever. In looking for his view on this matter it is perhaps best to look once again back to Orthodoxy, in which he provides his arguments for Christianity and against its critics. Chesterton may be found stating here that “It is idle to talk always of the alternative of reason and faith. Reason is itself a matter of faith.” It might thus be concluded that Chesterton places faith above reason, for reason itself falls under the purview of faith. The point here is that for Chesterton faith and reason are two methods for arriving at the one truth. Chesterton therefore has no outright contention with science or reason (such as the proofs of Thomas Aquinas) because he is sure that if reason arrives at any truth that truth could not contradict the truth of Christianity. This not only demonstrates Chesterton’s view of the relationship between faith and reason, but it also shows his endorsement of the classical method of apologetics through his approval of Aquinas, who formulated most of the classical proofs. Thus, it may be said that Chesterton pulls his argumentation from all of the apologetical methods combined – classical, evidentialist and presuppositional – rather than simply relying upon one or the other. 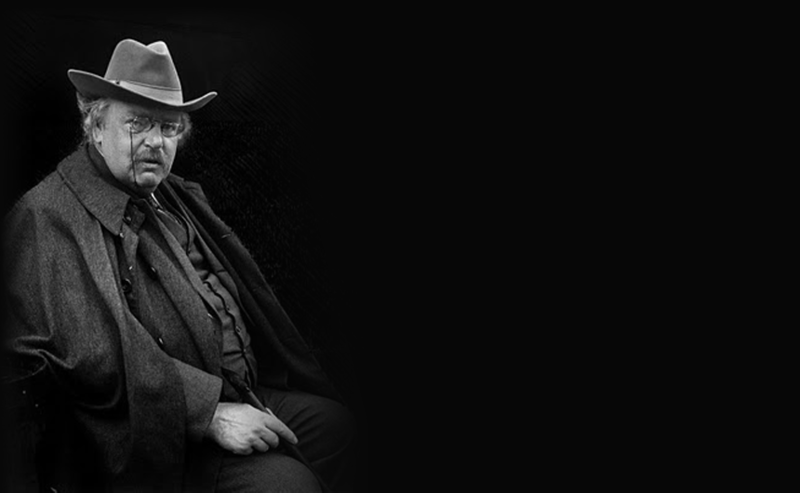 Chesterton’s was of course greatly defined by his era, by the onset of modern liberalism – that is, the movement to make Christianity compatible with science – as well as the fact that presuppositionalism was just coming into play during his time period. Modern liberalism was just starting to take hold during Chesterton’s time, hence the attacks against it in texts such as Machen’s Christianity & Liberalism as well as Hilaire Belloc’s The Great Heresies. This period also saw the development of a new type of apologetic, that of Van Til’s presuppositionalism. Presuppositionalism is best known for its attack on the epistemology of the opponent, a strategy not seen before the dawn of the Twentieth Century, and therefore we may assume that Chesterton was also influenced by this trend. Perhaps one of the greatest insights to be drawn from Chesterton is that one is not limited to any one view of apologetics, indeed, he drew from just about all of them. Along with Lewis, Chesterton is the writer who has most influenced my thinking. Huzzah!